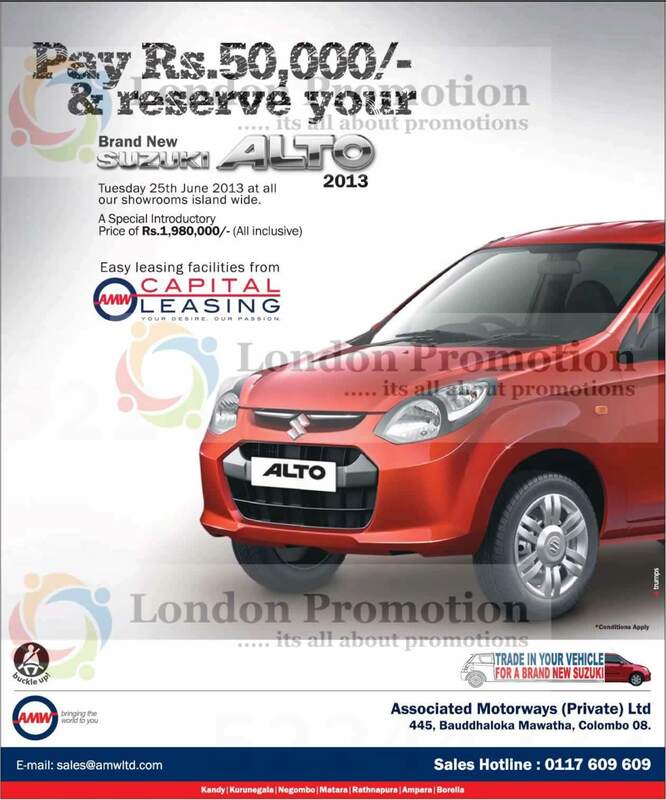 The Associated Motorways (Private) Ltd announces special promotion to pay Rs. 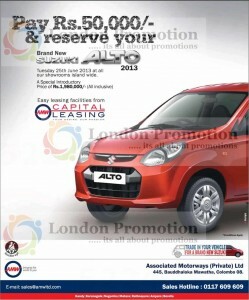 50,000 and Reserve you Suzuki Alto 2013. The Special Introductory Price of Rs.1,980,000/- (All inclusive)will be made by Easy leasing facilities from AMW Capital Leasing .